Susan Gail Friedland stands out. In the crowded market place of law that exsits in New York and New Jersey, Ms. Friedland rises above the crowd and has become the family lawyer against which all others are measured. Ms. Friedland has achieved this pinnacle by focusing on the intricacies involved in the fields of estate planning and estate litigation. Committed to providing her clients with a complete range of services to suit life needs, Ms. Friedland handles the preparation of wills, trusts, powers of attorneys and other legal requirements to make sure each family is assisted properly and fully. Valuing relationships built over many years, Ms. Friedland continually works to provide clients with top-level, world-class services. 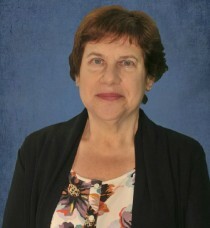 Not content with just assisting clients in meeting financial goals, Ms. Friedland also monitors and periodically reviews estate plans and their status, better equipping herself to advise clients in the ever-changing asset laws. A 1991 graduate of Brooklyn Law School, Ms. Friedland has been published in some of the country’s leading law journals and magazines including American Lawyer, American Legal Research Institute, New York Daily Record and the New York State Bar Association Journal.